When Carol asked me to write a few words about the early days of the AFI for the 25th Anniversary issue of the journal I found it almost impossible to believe that a quarter of a century has passed since Owen Avis, Mark Griffin and I stood in the office of Astrology House and decided to form a society to reflect the growing interest in astrology and related sciences that was gaining momentum in the early 1980s. Consequently, the Astrology Foundation Incorporated (AFI) came into being on 7th November 1983 at 11:47am NZDT in Auckland. Ten months later, the AFI had its inaugural meeting on the 3rd September 1984. The first meeting was a spirited affair that extended well into the night and early hours of the morning. Present at the meeting were 40 astrologers, astrology students and practitioners in related sciences, including metaphysicians, tarot readers, psychics, New Age thinkers and alternative therapists and healers. There was great excitement about what could be achieved and such was the enthusiasm that for the first year or two we held meetings weekly on Sundays from mid-afternoon till 9pm. I marvel now at the amount of energy we must have had back then to sustain meetings every week. I recall yoga and meditation sessions, introductions to rebirthing, NLP, paranormal experiments and psychic research, talks on naturopathy, homoeopathy, aromatherapy, gestalt therapy, reiki and more. After the inaugural meeting Owen set about drafting the objectives of the AFI and applying for incorporation as a society. Incorporation was achieved in 1985. 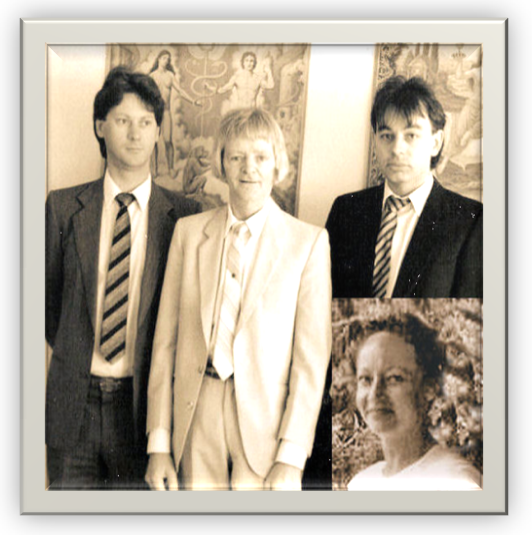 In 1986, under the auspices of the AFI, we founded the New Zealand College of Astrology. The NZCA introduced hundreds of students to astrology over its 13-year lifetime. In 1989 Owen stepped down as president and I took over the post until my retirement from the AFI council in 2004. 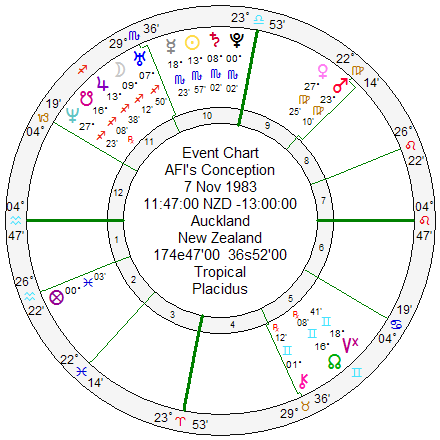 During my tenure as president we established firm contacts with other New Zealand and international astrology groups and organizations, promoted lectures and seminars by visiting astrologers from all over the globe, represented astrology in the media and produced the AFI Journal (since renamed the New Zealand Journal of Astrology). We also promoted the ever-popular annual “Away Weekends”; 2-day astrology retreats held at either one of the equinoxes or the winter solstice. Over the years, a lot of people have generously given their time and energy to the AFI by serving on the council or as active and supportive members. Forgive me if I inadvertently omit to mention anyone by name, but I must give thanks to the efforts of the following past and present members (in no particular order): Shauna Bergmann (our longest serving member other than myself), Angela Thomas, Lianne Plant, Stan Sutherland, Leo Andrietz, Mark Griffin, Maureen Cooney, Diana Wall, Anne-Marie Bates, Carol Squires, Fern Mercier, Colleen Coffey, Deborah Tov-Lev, Denise Wong and Rachel Dalley. Finally, I would just like to say as a founding member of the AFI it is extremely heartening to see that after 25 years the AFI is still going strong and continues to evolve with new members joining and supporting the efforts of the current council and embracing the objectives laid down all those years ago. Mark Griffin, Owen Avis, Hamish Saunders from those early days. Angela Thomas, who became an intergral part of the team, is inset.